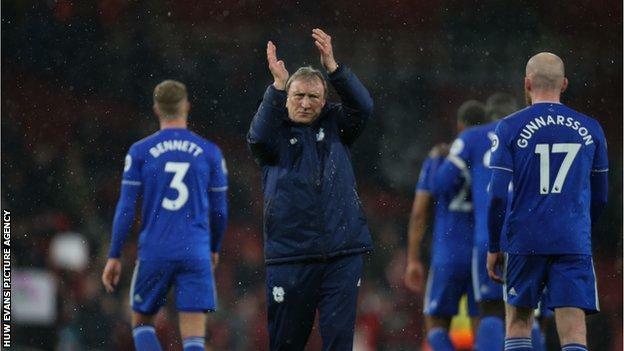 Cardiff boss Neil Warnock says the club “must move mountains” to recover from the disappearance of Emiliano Sala. The Argentine striker, who is Cardiff’s record signing, has been missing since the plane he was travelling in vanished over Guernsey on 21 January. Warnock says he was unable to bring in another forward because potential transfer targets did not want to join the club in the circumstances. “Once we get this weekend out the way we can move on,” said Warnock. The Bluebirds are 18th in the Premier League going into Saturday’s game against Bournemouth (17:30 GMT kick-off), the club’s first home fixture since Sala went missing. They are four points behind 17th-place Burnley. “We have to come up with a formula to get points on the board. People will write us off and quite rightly so,” added Warnock. “This year I thought it would be a great accolade to stay in the division. “It is not all about money. It is about getting a group of lads to believe in what they are doing and moving mountains again. 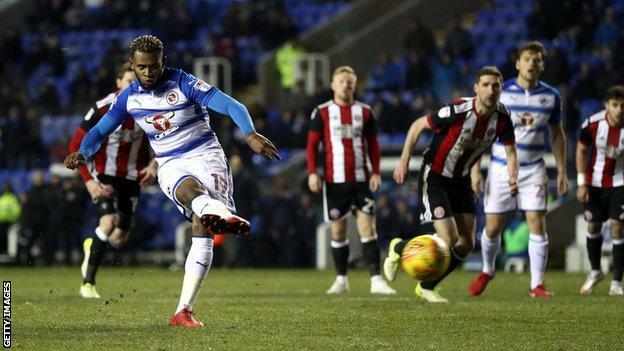 Cardiff were only able to add Reading’s utility man, Leandro Bacuna, on transfer deadline day. Warnock did consider signing a striker but says players were not keen to fill that role following Sala’s disappearance. Warnock says any tributes paid to Sala during Saturday’s match will be done with the approval of his family. “I don’t know what is planned for Saturday,” he said. Warnock says he was pleased to sign Reading midfielder Bacuna, adding that the Bluebirds’ 2-1 midweek defeat at Arsenal helped him to focus on football again. The 70-year old manager told the BBC on Monday he had thought about quitting his job “24 hours a day, seven days a week” since Sala disappeared. “I think my heart was in it again this week. Bacuna is a player I really worked hard on, I was determined to get something like that over the line,” he said.